Airbnb Magazine Recently Interviewed Anna! Q: I’d love to know how long you’ve been based there and what brought you there? My husband and I moved here from Paris, France with the intention of staying the summer and then moving to San Diego for one year, then returning to France. We came to spend some time with family and do some river rafting and explore the mountains. We spent the summer in Sun Valley and just couldn’t tear ourselves away. We arrived in 2002 on a 1-year plan, and here we are 16 plus years later! Q: Could you share your perfect winter day – breakfast, activities, lunch, dinner, yoga, skiing, snow shoeing, etc? There are many perfect winter days in Sun Valley! For the Alpine skiers and snowboarders, start with a delicious breakfast at The Kneadery, then play in the super pipe on Dollar or go for the 3450’ vertical on Bald Mountain. Lunch at Perry’s Restaurant (and you have got to try their cookies). Après ski choices abound: Apple’s Bar & Grill or River Run Lodge are convenient favorites. For the Nordic skiers, there are extensive trails up at Galena Summit & Harriman Trails (31 miles), Sun Valley (25 miles), and Hailey (10 miles). Galena offers the historic Galena Lodge where you can get an awesome lunch and enjoy a beer on the deck and take in the amazing 10,000’ peaks of the Boulder Mountains. For non-skiers there are plenty of snow shoeing trails out Galena and in Sun Valley, and if you haven’t tried fat biking, you should rent a bike and go! Top it off with a burger and beer at Grumpy’s or Lefty’s, or a steak at the Pioneer Saloon, or carnitas at Cabanita. 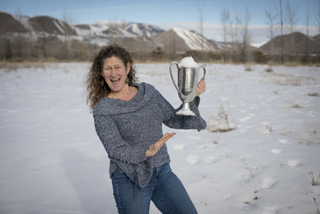 Or go skate with Olympic and world-class skaters at the Sun Valley Outdoor Ice Rink, or catch a Sun Valley Suns hockey game on Friday and Saturday nights and grab some dessert at the Konditorei in the Sun Valley Village. After a long day outside, it is awesome to take in a yoga class and hit the jacuzzi at the YMCA or Zenergy Health Club which has an outdoor heated pool and jumbo jacuzzi. For fine dining, try Michel’s Christiania or The Grill at Knob Hill in Ketchum, or head down to Hailey to CK’s Real Food. Getting tired of being so sporty? On your way to the spa for a massage, stroll through the historic and recently remodeled Sun Valley Lodge with ski photos of all the movie stars who put Sun Valley on the map. (There’s also a fun bowling nouveau retro alley below the Lodge.) Take in the Sun Valley Center for the Arts for the latest art installation or check out the many galleries you can walk to throughout Ketchum. Catch a play at the Liberty Theater in Hailey, a show at The Argyros in Ketchum, a concert at Whiskey’s, or a Film Festival at the old Sun Valley Opera House. Q: How do you personally compare SV to other winter ski towns? What makes it different/special? Sun Valley is a bit more remote than some resorts but once you get here, you’ll love the friendly people and easy access to so much beauty and recreation. It offers a small town feel with a quirky combination of long-time ski bum characters alongside sophisticated locals and transplants and visitors from all over. Q: Would you suggest people check out Hailey? What makes Hailey unique? Hailey is awesome! Sun Valley/Ketchum offer the resort feel, Hailey offers the Home Town feel with a bit larger, more full-time population. Hailey has the new state of the art Campion Ice House next to the Hailey Visitors Center (and in other seasons check out the skate park, rodeo grounds, and hiking/biking trails). Hailey has the history Liberty Theater that Demi Moore donated to the Sun Valley Center for the Arts, Flight Archery Studio if you want to get your bow and arrow on, the Metropolitan Big Wood Cinemas with stadium seating, the Quigley Nordic trails, and multiple yoga studios. Hailey also has great food! CK’s Real Food, diVine Wine bar, Dang’s Thai, Zou 75 sushi, and Lago Azul (try the Sandy Tacos – best ever). Q: Any tips for skiing on mountain at the resort? For short scenic cruising, take the Gondola and then head over to Seattle Ridge, for bowl skiing head up to Lookout, want long vertical take College down to River Run or head over to the Warm Springs side and ski top to bottom! Ask the ‘Yellow Coats’ for the trails with the best conditions on any given day and get a local’s intel. Q: Any not to miss winter events? Dollar Torchlight Parade & Fireworks. Boulder Mountain Tour and Sun Valley Nordic Festival. The Sun Valley Film Festival. Try a holiday horse-drawn sleigh ride to Trail Creek Cabin for a nice meal and cozy lodge atmosphere with Christmas carolers and fires in the fireplace. More budget-friendly, there are also daytime Sleigh Rides. Take the Gondola up to The Roundhouse for a six-course Prix Fixe Chef Tasting soirée. Go see the classic Sun Valley Serenade or a Warren Miller flick at the Sun Valley Opera House. Q: Favorite place to rent gear? Sturtevants or PK’s Ski & Sports in town are touted as the best; there are also rental shops at the base of the mountain at Warm Springs, River Run and Dollar. The 2016 annual real estate stats are in! Hot off the presses! 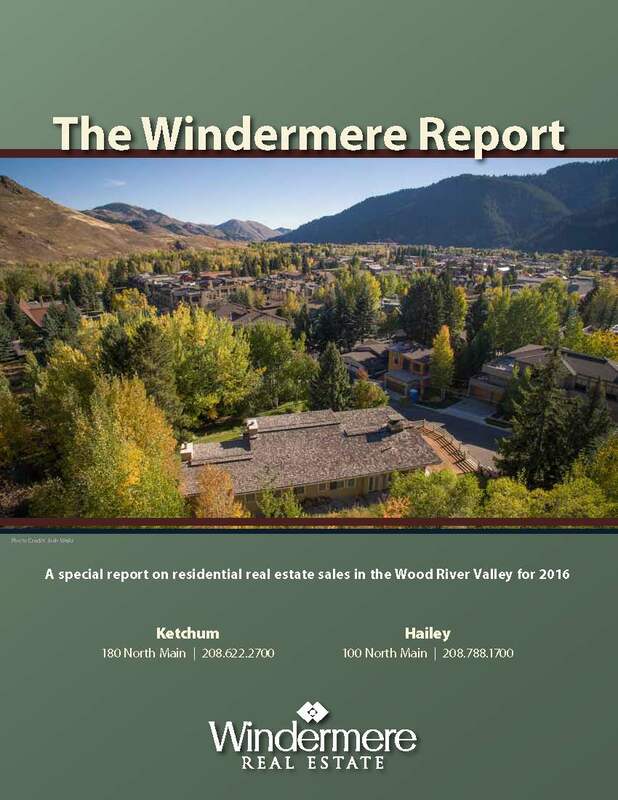 Here is the 17th anniversary edition of Windermere Real Estate’s Market Review, which has earned its reputation as one of the most accurate sources for data on the Blaine County housing market. Overall, 2016 was a statistically deceptive year in Blaine County real estate, with a modest gain in the number of closed transactions but a decline in the total dollar volume according to the Sun Valley Board of Realtors MLS data. I say deceptive because the total dollar volume doesn’t take into account the 12 Limelight Residences that are currently reserved and will close next month after construction is completed. In addition, the Sun Valley Company has sold all but one of their 24 Diamond Back Townhomes. Combined these two project represent over $55 million in sales which will be added to the 2017 totals. In the resort condo market, 197 sales were recorded in 2016, compared to 198 a year earlier. That same stable trend also played out in the resort single family market where 77 residences changed hands in 2016, compared to 84 a year earlier. In the Hailey market, 136 homes sold in 2016, up from 129 homes a year earlier. 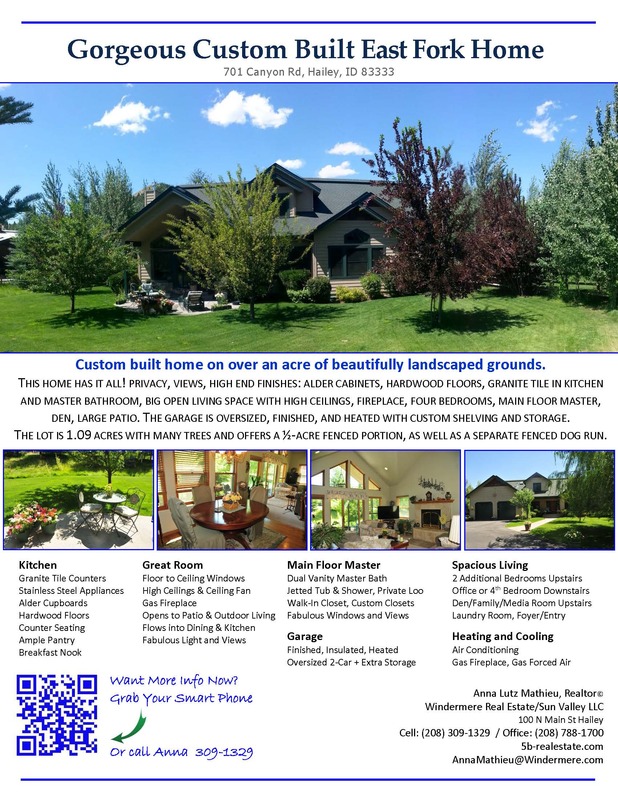 Despite the lack of inventory at certain price points, the median price per square foot in Hailey held steady at $181 per foot, which is still far below the peak of 2008 when it was $210 per square foot. The biggest gains in the south valley came in Bellevue, where the median selling price per square foot jumped 24 percent and is now just 7 percent lower than Hailey’s median price per square foot. We expect 2017 to be a dynamic year in Sun Valley real estate, with interest rates low, inventory falling and median selling prices increasing proportionately. Additionally, the new four-star Limelight Hotel opened last month on Ketchum’s Main Street. Coupled with better direct airline service, these additions should further polish the Sun Valley brand as a world-class resort. If you or someone you know have questions or need professional real estate advice, please don’t hesitate to call me. In the meantime, I hope you find the “Windermere Report” informative and I look forward to working with you in 2017. Visit 701 Canyon East Fork now!